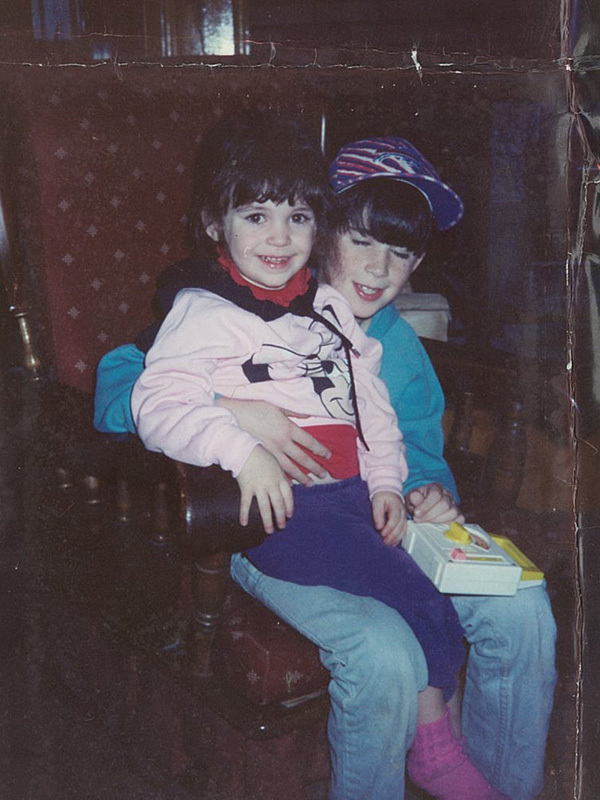 "I was blown away when my little sister started sending me song demos," says Andy Stack of his half sister Melissa Ahern. What began as in informal collaboration over e-mail and the occasional college visit (both attended The State University of New York for Music), has developed into the band She and the Sun. The duo is releasing their first LP this summer, which is a collection of songs ranging from acoustic folk to upbeat pop. She and the Sun has made a strong impression in NYC's music scene where they are currently keeping residence at Rockwood Music Hall. "Not many people can call their sibling one of their best friends, but even fewer can call them a band mate," adds Melissa. The two have been living and working just outside of NYC in Long Island City, where they recorded all of their new record except the drums. On the album, they experimented with a combination of modern sounds in Pro Tools as well as other vintage sounds such as a spinning leslie speaker they dubbed "the dryer". Both Melissa and Andy sing and play instruments, but Melissa handles the bulk of the singing, and Andy does most of the production and instrumental work. The majority of the tracking was done in a make-shift recording booth in order to keep out the sounds from passing trucks and ambulances on the busy street outside. The two compliment each other in uncanny ways. When one begins an idea, the other one finishes it. "Bad Lover", for example, began as just a beat that Andy created at home and Melissa later added lyrics and melody after she was inspired by a bad break up. "Mountains" also began as instrumental and then was later completed with a melody and journal entry that Melissa had written. 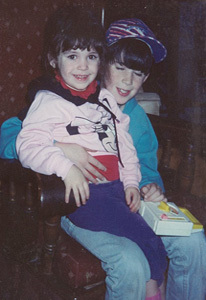 Before they were She and the Sun, Melissa and Andy grew up in the outskirts of Buffalo, NY where they were apart of a very musical family. They were encouraged by their Mother, who is an Irish fiddler, to pursue music. The family attended folk festivals, sang in choir, and had jam sessions for every holiday or get together. Andy was the first to leave the nest and went NYC to study Jazz and find work as a session guitarist. Melissa came to the city soon after with a passion for writing. The new record was self-produced with some help from Michael Tudor, who the duo met through Duncan Sheik while working on the musical "Whisper House". Other contributors include Aaron Comess on drums (Spin Doctors, Joan Osborne), Zach Jones also on drums (Velta, Robby Gil), Patrick Firth on piano, and Jay Walter Hawkes on trombone (Norah Jones). She and the Sun raised funds through the fan-funding website Rockethub which allowed them to release their album independently. They were amazed when they reached their funding goal within just a week, which is an unexpected short amount of time considering the fundraiser site's typical 40 day deadline. The self-titled album is available digitally through CDbaby and iTunes and also on CD at all live shows.